For all you lovelies looking for Valentine’s greetings for your gal-pals, besties, and favorite hottie, I’ve got you covered! 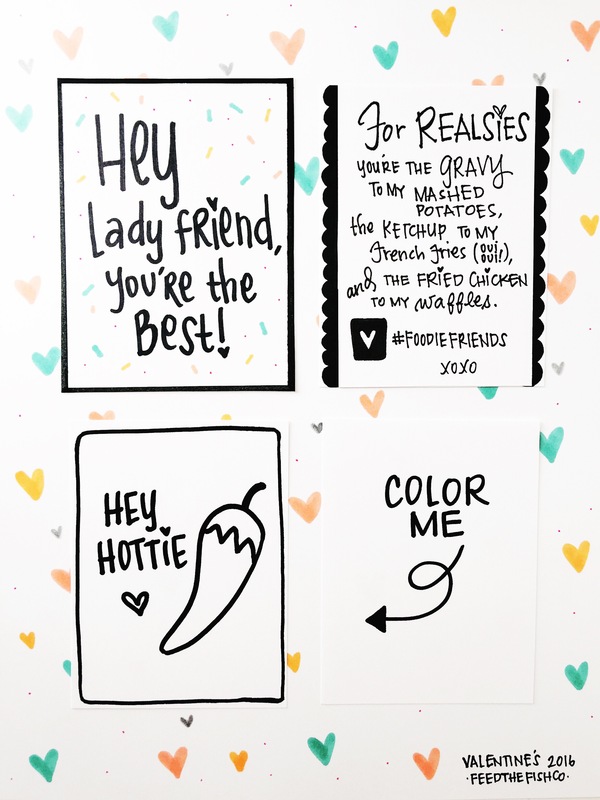 I designed a trio of cards for Valentine’s this year: Hey Lady Friend, My Foodie Valentine, and Spicy Pepper Hot. My Foodie Valentine is currently in the running for a Darby Smart design contest through Sunday, February 7. Vote it to the top! And click below for some for free printables!